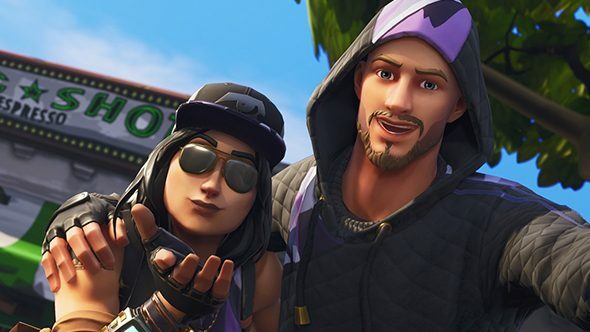 When are the Fortnite week 4 challenges release times? This week’s challenges run from an act as simple as building panels, to a challenge as rad as jumping through flaming sky hoops in a pimped-out golf cart. To find out when the Fortnite week 4 challenges unlock, you can head to the game client, but to make your busy lives easier, we’ve done that for you. If you log into the game and then head to the ‘Challenges’ tab at the top of the screen, you’ll see an hourly countdown appear. At time of writing, that countdown says that the new challenges will unlock in two hours, which (rounding down) means that the Fortnite week 4 challenges will be available from 14:00 BST (09:00 ET) this afternoon. This week’s challenges task players with getting pistol eliminations, getting kills in Dusty Divot, and finding chests in Flush Factory. You’ll also need to find a secret Battle Star between a gas station, a soccer pitch, and stunt mountain, and, as mentioned above, launch an ATK (or shopping cart) through flaming hoops. If you haven’t completed previous weeks’ challenges yet, you can take a look at the week 1, week 2, and week 3 challenges (as well as the Fortnite Road Trip challenges). Pick up everything, and you’ll be well on the way to earning all of the Battle Stars and bonus XP that Epic have to offer.